panic | I've been there. You're not alone. 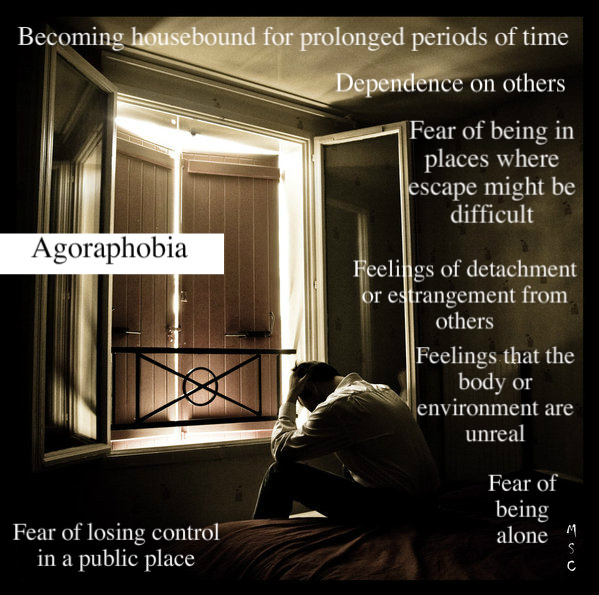 This agoraphobia crap has gotten ridiculous. I am a social being. I have always been a social being. I am not a “be-confined-indoors-alone-for-days-at-a-time” being. This is driving me crazy and I’m not entirely sure where it even came from. I can’t pinpoint it. I’ve had anxiety and panic disorder for several years now but I never had a problem with leaving the house. In fact, I couldn’t wait to get out everyday and get away from my family. Now that I’m out on my own, I seem to have regressed. I’m not an independent 27 year old woman. I feel more like a 10 year old waiting for “Daddy” to come home everyday from work. I then become afraid that I’ll start freaking out and that adds to the anxiety. I’m not allowed to get any narcotic anxiety medications anymore. I abused them, I was then honest about it, and now I’m cut off. Oh, how they would help my situation so. Oh well. Therapy is my only solution but it’s going to have to wait. I am starting Schema therapy on Monday and that’s what we’ll be focusing on until my sessions end with her. Then I get to find someone new even thought I have no money, job, or insurance. I cannot find work because I cannot leave the house. I cannot learn to leave the house without money for therapy. It’s a vicious circle.